The faithful Ewing family fans will be pleased to complete their collections with Dallas: The Complete Third and Final Season, now available as a three-disc DVD set from Warner Bros. Home Entertainment Group. All 15 episodes from the concluding season (which originally aired on TNT between February and September 2014) are presented in 16X9 widescreen in Dolby Digital 5.1 surround sound. Exclusive to the set is a selection of deleted scenes that totals about 30 minutes. Supportive fans decried the show’s cancellation, though the ratings dwindled over the course of its three seasons. The original Dallas was a full-blown phenomenon during its lengthy run (1978-1991). The new show wasn’t a reboot, but rather a continuation. 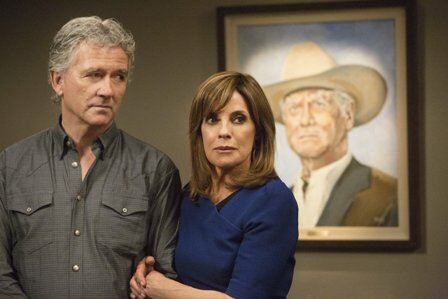 Original characters were portrayed by their original actors: Bobby Ewing (Patrick Duffy), Sue Ellen Ewing (Linda Gray), and J.R. Ewing (Larry Hagman). Perhaps Hagman’s 2013 death resulted in longtime viewers dropping off. At any rate, the next generation of Ewings consisted of a new cast led by Josh Henderson as John Ross Ewing III, Jess Metcalfe as Christopher Ewing, and Julie Gonzalo as Pamela Rebecca Barnes. For more information on this and other titles distributed by Warner Bros Home Entertainment Group, visit the WB Shop.